Arsenal will reportedly re-call Emiliano Martinez to become their second choice goalkeeper next season in a bid to use their transfer budget elsewhere on the squad. The Gunners are currently in fourth place in the Premier League table, just a point above a resurgent Man Utd while Chelsea remain a threat. In turn, the battle for Champions League qualification will undoubtedly continue to heat up in the coming weeks, but it’s suggested that Arsenal are making plans in the event that they don’t hold on to a top-four finish this season. 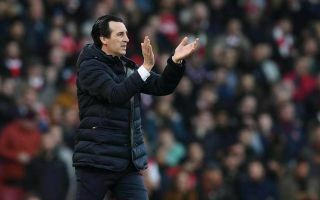 According to The Sun, an inability to qualify for the Champions League could leave Unai Emery with a limited £40m summer transfer window budget, and the Spaniard will undoubtedly have voids to fill ahead of next season to strengthen his squad. One area he’ll have to address is the goalkeeper situation with Petr Cech set to retire, and the report adds that Arsenal could simply re-call Martinez from his loan spell at Reading and promote him to No.2 in order to save having to splash out on competition for Bernd Leno. Ultimately, it seems like a sensible plan in truth as Leno will be first choice, and so Emery merely needs decent competition and cover for the German shot-stopper. By re-calling Martinez, that fills the void left behind by Cech, and in turn frees the club up to focus on other departments which need reinforcements. Naturally, Arsenal will be hoping that they do qualify for the Champions League and therefore have a much bigger budget this summer. However, failing that, they will have to be clever with their transfer funds, albeit they could still perhaps raise money from player sales too.